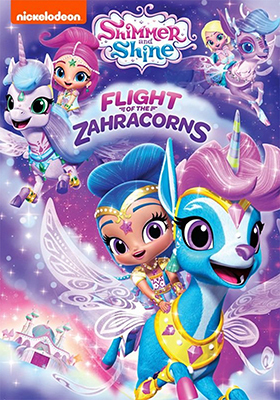 Paramount Home Media and Nickelodeon Home Entertainment will be teaming up for the DVD release of the latest animated adventures of the twin genies, Shimmer and Shine, on Feb. 5 with the delivery of Shimmer and Shine: Flight of the Zahracorns. Seven magical adventures unfold in this latest collection, with kicks off with Leah joining Shimmer and Shine on a journey to Zahramay Skies, where they meet the Stardust Princess. They soon that Zahramay Skies is no ordinary place as pets can fly and counted among these flying creatures are Zahracorns! It’s not all fun and games in this magical place as the jealous Zeta, a would-be sorceress, wants to take over … a big Zahracorn race is planned and Zeta wants in on it! In another adventures, a lost Zahracorn is the focus on attention and a magical trip to find a Zahracorn Dragon allows Leah, Shimmer and Shine to meet Shaun, a Cloud Genie. Amicus Productions and Hammer Films were the kings of the horror films that reigned supreme in the 1960s and 1970s. 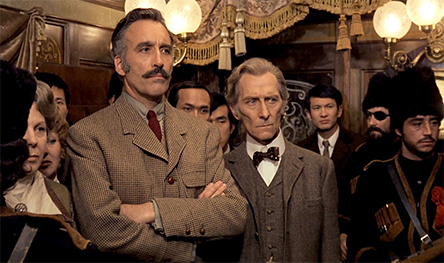 These delights included Amicus’ anthology series of films — The House That Dripped Blood, Tales from the Crypt and Asylum (among others) — while Hammer served-up a seemingly endless stream of Dracula, Frankenstein and Mummy delights, often teaming Christopher Lee with Peter Cushing. 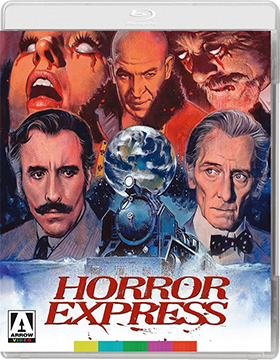 It was during this period that director Eugenio Martin’s Horror Express was released (around Christmas of 1973 by indie Scotia International), which is often confused as being one of the Amicus and/or Hammer theatrical releases from the period. That’s an easy mistake since the film stars Christopher Lee and Peter Cushing. Regardless of its origins, Arrow Video, with domestic sales and distribution expertise provided by MVD Entertainment Group, has a new 2K restoration from the film’s original elements planned for Blu-ray on Feb. 12. At the turn of last century, a Professor Alexander Saxton (Christopher Lee), an anthropologist, makes an earth-shaking discovey in remote Manchuria. An ape-like creature that he estimates to be some 2,000,000 years old! He must get his find back to England, and thus books passage on the famed Trans-Siberian Express, which will more or less become a haunted house on wheels. To complicate matters, Alexander’s chief academic rival, Dr. Wells (Peter Cushing) just happens to be in the same place with his assistant, Miss Jones (Alice Reinheart). They are not even out of the station when a mysterious murder occurs. And, as the train rumbles along in the remote reaches of Siberia, more killings … the creature is alive and on the prowl! 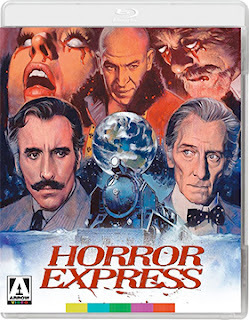 Horror Express, mixes in everything … from a body-jumping alien life form to zombies, to a murder mystery on a rolling train, with a crazed priest and even throws in a chew-the-scenery performance from Telly Savalas as a Cossack officer dispatched to find out what is going on aboard the Trans-Siberian Express (Savalas was in Spain, where the film was shot, and would work on both Horror Express and Pancho Villa for producer Bernard Gordon … the train was even used in both films). If Er Hou (Tian Tian) had any luck at all it would be bad luck. 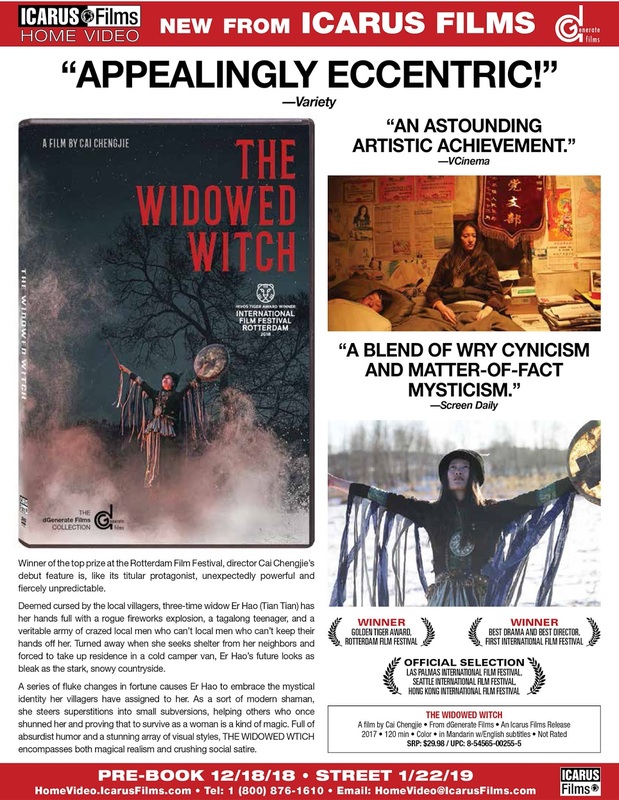 Icarus Films announced this past week that Chinese filmmaker Cai Chengjie’s social commentary tale, The Widowed Witch, will be making its domestic DVD debut on Jan. 22. We pick up her story of sorrow after just being blown up (tossed about) when her illegal fireworks factory went up in a fiery blaze, taking her husband with it. Bad enough, but Er Hou is now obviously cursed, so say relatives and fellow villagers. One dead husband, OK, it happens. Two, maybe it is just fate, or bad luck, but with this latest death, that’s three and it has become clear that she is a witch; cursed. She is cast out with nothing more than an old delivery van and the clothes on her back. 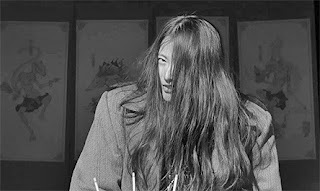 Er Hou makes the rounds to former “relatives” (with three former husbands she has a few) with little luck — she is actually raped for her trouble — but does end up with a companion, her recently deceased husband’s teenage mute brother (he too is cursed). Through a series of almost comical events, her being a cursed witch actually works to her advantage as she takes on the trappings of a gifted shaman. It’s a living, traveling the wintery countryside dealing in the “supernatural.” Is this a deceit that can be maintained … or will one slip proved to be a “trick” too far? 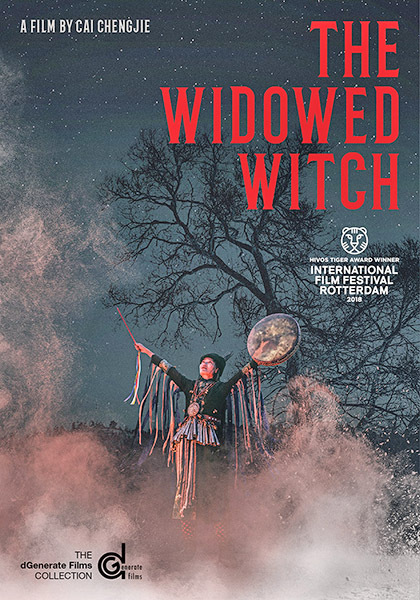 Director Cai Chengjie’s The Widowed Witch is a clever mix of superstitious mysticism and social commentary on a largely patriarchal society. By mixing color and black and white sequences, the mesmerizing tale of Er Hou unfolds with a stark beauty that often belies the dangers ever present in rural China. 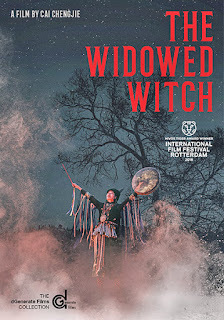 The Widowed Witch is presented in Mandarin with English subtitles. Amel Figueroa, writer, director, producer … and with knowledge of all of the technical aspects of filmmaking, put together an action flick, with his SaintSinner Entertainment partner, Brandon Brooks, that is outside of his genre-themed comfort zone. With the likes of The Quiet Ones (Figueroa directing, Brooks producing) and Sickness (Brooks directing and Figueroa handling the producing chores), the pair have been working the horror-with-a-twist market. 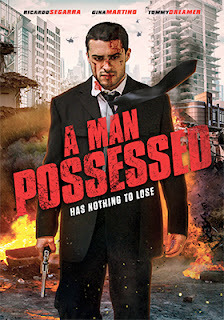 Not the straight-up slasher or creature feature stuff, but films with an edge. With their latest, A Man Possessed, which will be heading home on Feb. 26 on DVD from Wildeye Releasing, with sales and distribution support provided by MVD Entertainment Group, we get an introspective revenge thriller. In a minimalist approach, Figueroa establishes the relationship between “The Man” (Ricardo Segarra – The Urn, The Pinelands Murders) and “The Man’s Wife” (Gina Martino — Sickness, The Avenue, etc.) — we never know their names. They have a loving relationship, which is soon ripped to shreds. “The Man” still breathes. Blood flows through his veins, but is all but dead. Very much in the spirit of director Michael Winner’s Death Wish, vengeance becomes “The Man’s” whole purpose. Parallel to this is “The Detective” (played by Extreme Championship Wrestling superstar Tommy Dreamer), who is trying to solve a series of vigilante-style murders. He too has a loving wife (played by Alex Russo) and perhaps there will be empathy for the killer he pursues … a killer whose path he eventually must cross! 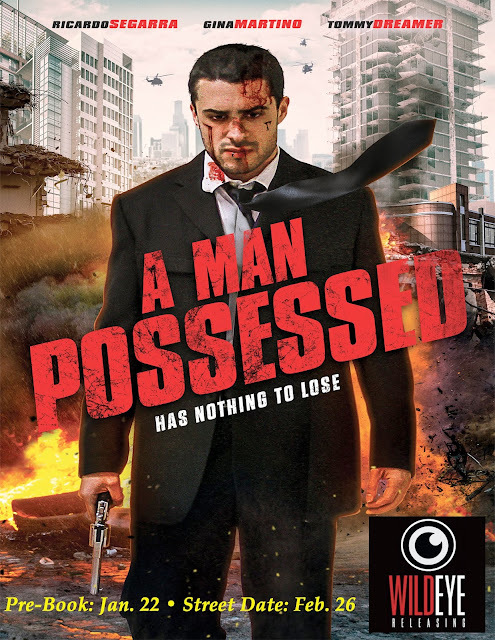 Filmmaker Amel Figueroa’s A Man Possessed is about love, loss and the aftermath. 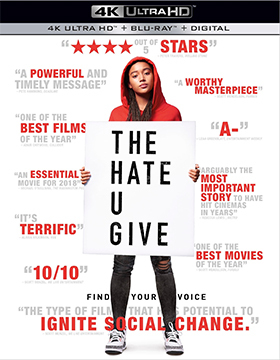 20th Century-Fox Home Entertainment looks to Jan. 22 for a three-SKU launch of director George Tillman, Jr.’s film adaptation of the Angie Thomas novel, The Hate U Give. The ARR for this politically-charged tale of a traffic stop that escalates into a police shooting, gang violence and citywide protests — both peaceful and violent — works out to 109 days. SKU configuration will be a stand-alone DVD edition and combo-pack configurations for both 4K Ultra HD/Blu-ray and Blu-ray/DVD presentations. With a Marvel Entertainment product it is tough to keep a secret. 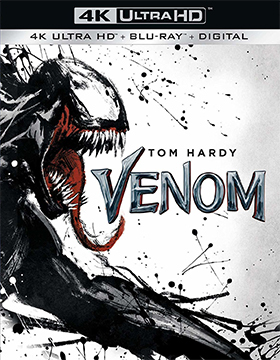 Over a week ago it was revealed from various sources (including amazon.com) that director Ruben Fleischer’s Venom would settle in as a three-SKU array of home entertainment packaged media product offerings on Dec. 18. 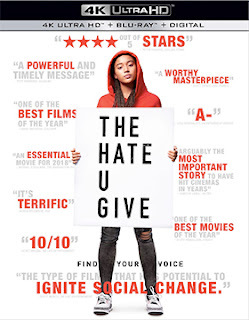 But, Sony Pictures Home Entertainment, which has struggled with the basics of PR for a number of years, got blindsided once again by these early announcements. It wasn’t until Tuesday of this past week (Nov. 27) that they finally delivered an official press announcement (already past the pre-book window). But such is life! The ARR for the Dec. 18 street date works out to an extremely fast 74 days … that ties the speed record for any theatrical release grossing in excess of $100 million (Venom’s current domestic box office haul is $211.7 million). Warner Bros. Home Entertainment’s Annabelle: Creation also made the warp-speed trip from theatrical venues to the home entertainment marketplace in just 74 days back in 2017. The very tight window could explain Sony Pictures Home Entertainment’s difficulty with the press announcement for Venom. Other shortcomings from the studio’s home entertainment division remain unanswered. 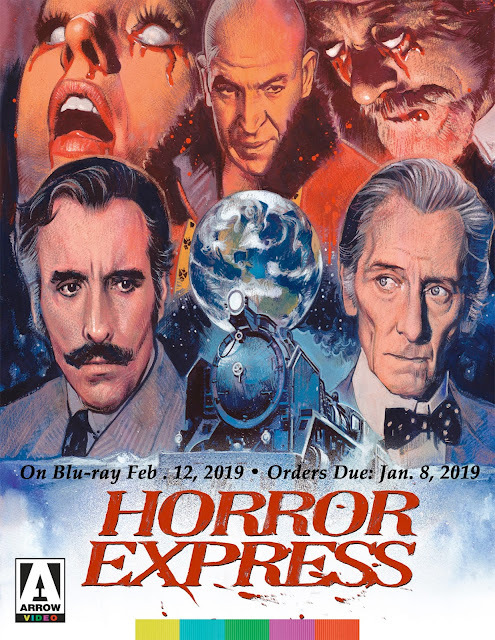 As to SKU configuration, there will be Combo Packs for both 4K Ultra HD/Blu-ray and Blu-ray/DVD configurations, as well as a stand-alone DVD edition.